But what about the elves? They’re stuck in a centuries-old tradition of livin’, breathin’, and dyin’ by the tradition of the toys. What if one of them was like, “Yo, I don’t wanna make toys! I wanna market exciting new brand concepts for a living!” Would they be kicked out of the North Pole? Shunned by their elf family forever? Or do you think there’s a sort of elf Rumspringa or an Elf Gap Year, where they get to visit other elf colonies to see what’s been doing, and maybe try their hand at being a cobbler elf or a Keebler elf (mmmm….cookies…)? We just have so many questions for those little guys! 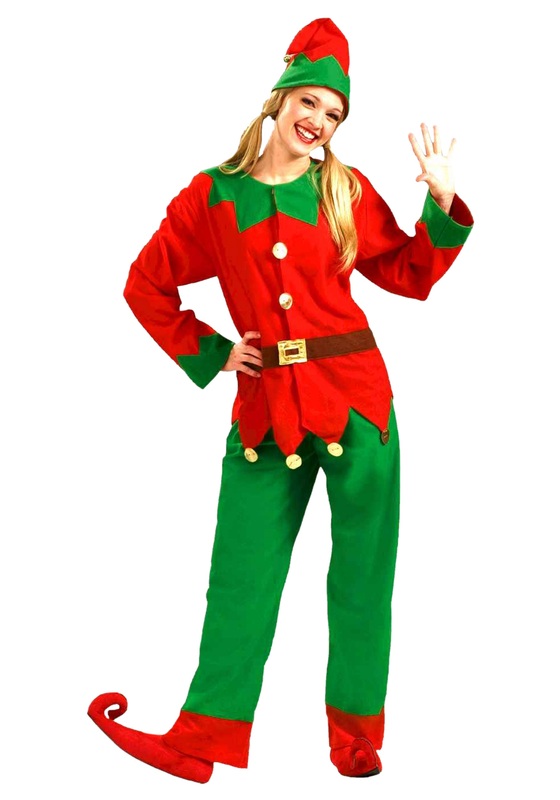 But if you’re one of those elves who grew up knowing that following in your family’s footsteps was all you ever wanted to do, then it’s time to suit up and get ready for the rest of your life with this jolly Adult Elf Costume! The festive polyester red shirt ties in the back of the neck, and has an attached green collar and cuffs that sport faux gold buttons for extra HoJo touch! There’s also faux gold bells on the jagged hemline for a little added jingle-jangle, and green pants have an elastic waistband for an extra comfy fit! Also included is the brown belt and the red and green elf hat! Just add some elf shoe covers and you’re ready to embark on a lifetime vocation that may or may not burden the next generation with unrealistic and stifling life choices that are not their own! Merry Christmas!